HiFiBerry user asked us how he could use an HiFiBerry Amp+ with Amazons Echo Dot. As the Amp+ does not feature an input, you can’t simply connect an audio cable. However, the Echo Dot (any many other players) can connect to an active speaker via Bluetooth. As the Raspberry Pi 3 and the Raspberry Pi Zero-W both have an onboard Bluetooth module, this should be easy. Unfortunately it still requires some work. 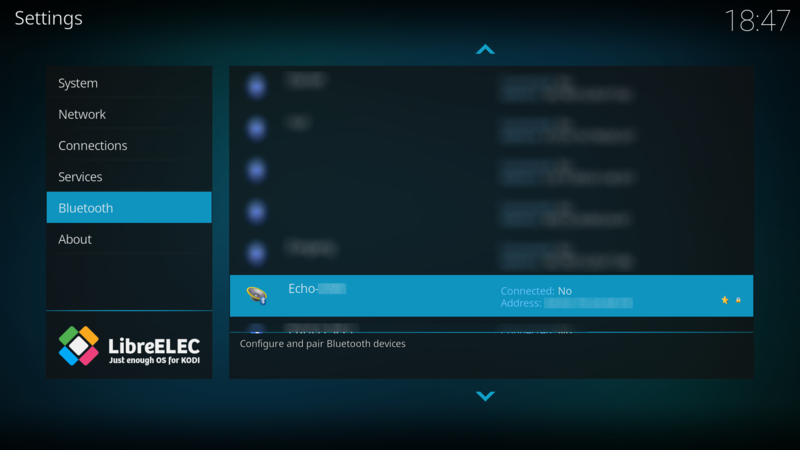 Bluetooth audio on Linux requires the use of BlueZ and PulseAudio, which are often quite hard to setup – especially for beginners. Therefore most distributions don’t use PulseAudio. 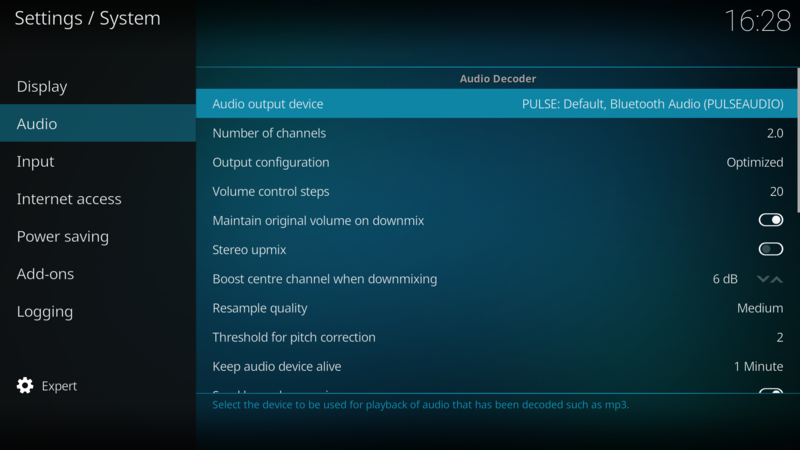 However, there is one that comes with PulseAudio installed by default – LibreElec. 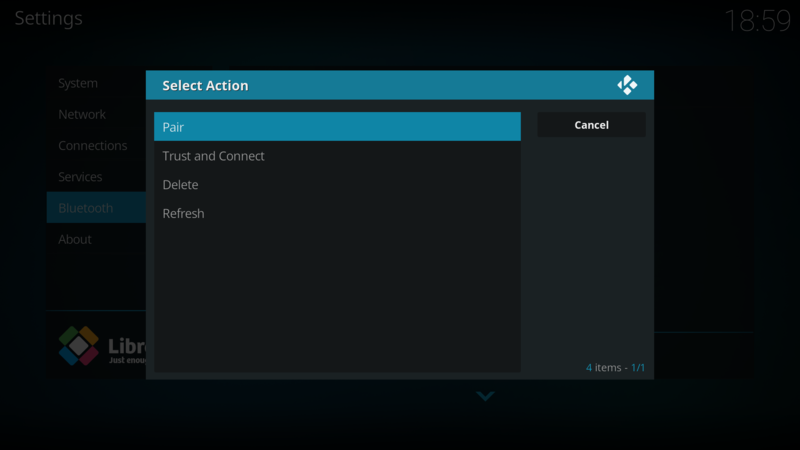 This guide will show you how to connect your Amazon Echo to your Raspberry Pi using Bluetooth. It will also work with other Bluetooth audio devices, e.g. many mobiles phones and tablets. The full PulseAudio documentation of LibreElec can be found here, but here we will try a step-by-set guide that you can just follow. Note that there might be changes in both LibreElec, but also Amazon’s Echo speakers. There is no individual support for this guide. If something isn’t working as expected, feel free to post in our community area. Other users might be able to help with some tips. While this guide should work also with other Bluetooth audio senders, the pairing process might be different. You might need to experiment a bit. 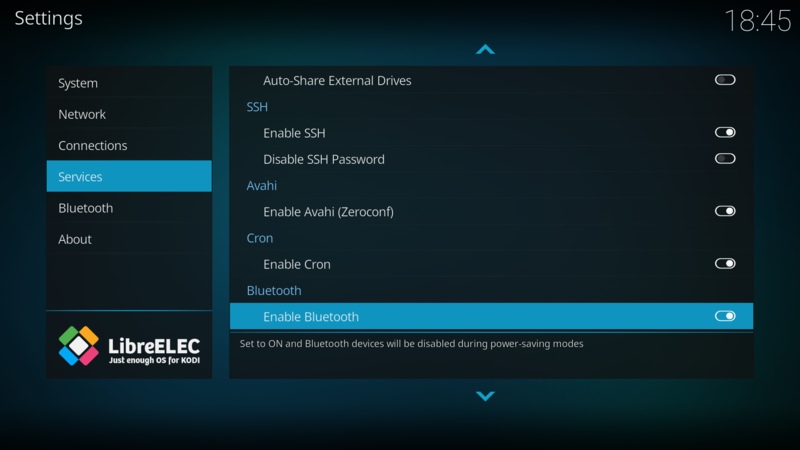 First you need to download and configure LibreElec. Configure your HiFiBerry sound card. Make sure everything works fine before you continue. In your Amazon Alex App, select your Amazon Echo, then select “Wireless/Bluetooth” and press the “Pair a new device” button. The Amazon Echo will now use your Raspberry Pi as a Bluetooth speaker. However, there are some more steps required before you hear something from the Raspberry Pi. Now, the Amazon echo will act as an external speaker for your Raspberry Pi. But that’s not what we want. We want it the other way around. If the BT audio device isn’t connected, the btlibre script will fail. Multiple devices sending music via Airplay are not supported. There had been very little testing, therefore something might not work as expected. Please report issues in our forum.